The first novel of a trilogy, that presents a story about what the apostles may have gone through in the upper room and what took place after the crucifixion and resurrection of Jesus the Christ. All proceeds from the sales of this novel go to charitable causes. 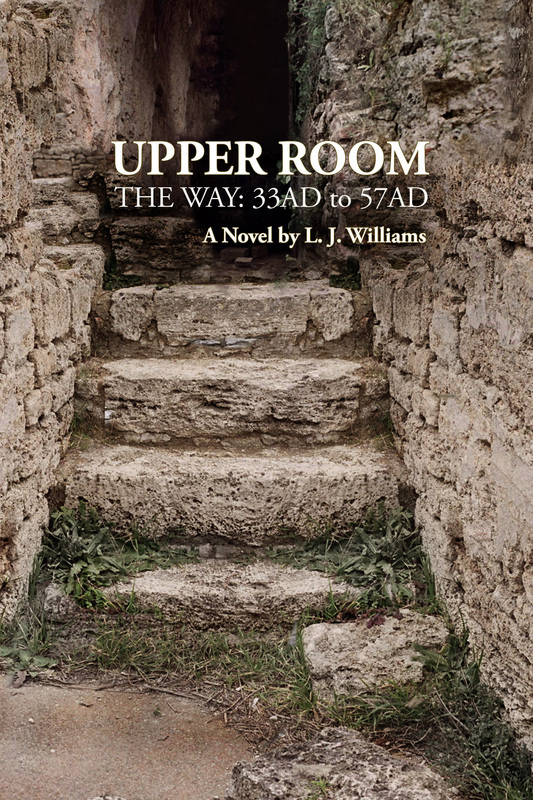 The Way: 33 A.D. to 57 A.D.
Upper Room, The Way, portrays what the apostles may have gone through in the upper room and what took place after the crucifixion of Jesus Christ. How did Jesus’ followers deal with their fear, doubts and faith? This riveting novel pieces together intricate revelations to present possibilities not widely discussed, probabilities that may explain why some famous figures from Christian history were misjudged, misunderstood, or completely ignored. How those who were evil, became good and those who were weak, became strong. When did you last read a book that not only opened up doors and windows, but removed the roof and four walls of containment? The Upper Room trilogy brings forth Pontius Pilot, Judas, Mary Magdalene, Joseph of Arimathea, the city of Edessa, the Knights Templar and the Holy Grail myth in a historical novel that presents probabilities rarely discussed. If you are someone who still struggles to understand, you may just find some missing pieces you were looking for in this historical novel.